Can’t decide what to choose from the menu? Not a problem here. If you think a restaurant with an extensive menu is a problem, this new restaurant is going to be your new favourite spot… unless you don’t like crisps. That’s right. 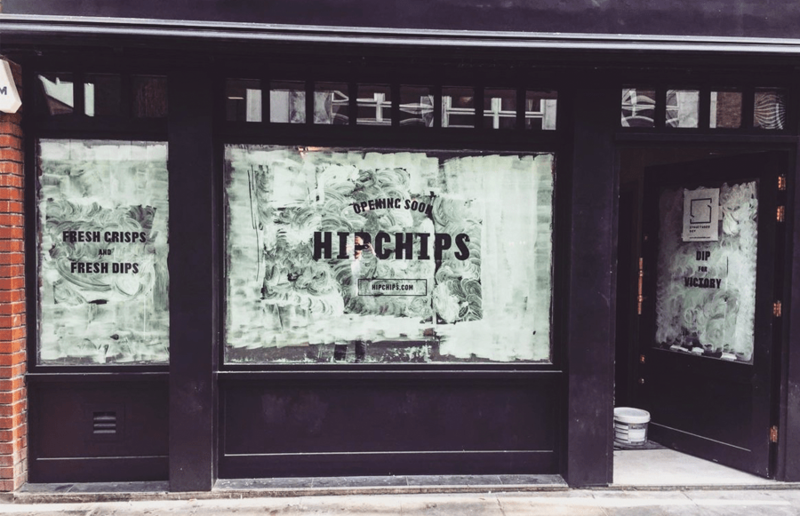 ‘Hipchips’ is a brand new restaurant serving the nations favourite snack, crisps, exclusively. Opening soon on Old Compton Street in Soho, the quirky concept involves a CONVEYOR BELT that delivers five varieties of crisps, hand crafted from heritage potatoes and then fried right before your eyes. To accompany the crunchy delights Hipchips offer tempting dips of the following flavours: katsu curry, Moroccan yoghurt, Peruvian ceviche, baba ganoush and smoky cheese, pickled onion fondu. If that wasn’t deliciously weird enough, they will also be serving dessert crisps covered in cinnamon sugar, with dips of rhubarb and custard, chocolate s’mores and salted caramel. Once you’ve finished these dreamy versions of the classic snack you can wash them down with craft beers and wine (which I would argue is a necessity for any snack time). You can go to their website hipchips.com to find out more.